For the 2016 Election, all of the Board members agreed to return for another two year term and all were acclaimed. Changes to the Club constitution were approved, bringing it in line with how our club operated. We have prepared an emergency protocol that you should read carefully. As always, if you feel uncomfortable with trail conditions or your own skill level, please remove your skis and walk beside the trails. On the weekend, during the ski season, volunteers act as hosts at our chalet. Duties include greeting members and visitors, answering questions about the trails and conditions, helping with sign-ins and checking that guests have purchased a day use pass. 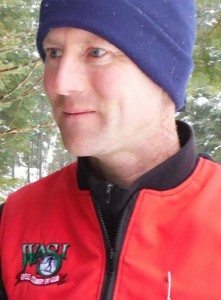 It’s a great way to meet your fellow skiers, and to help our club. We will be scheduling the 3-hour weekend shifts shortly. Check out the Chalet Hosting page. Our logo is on file at Mark’s Work Wearhouse (North Bay). They can sew the logo onto any fabric item that you wish for $12. 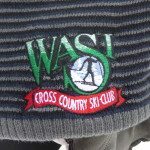 Just go into the embroidery division and tell them you ski at the Wasi Cross Country Ski Club, are proud of it, and want to show off a bit.